When living in a multifaceted metropolis like Hong Kong, it can be difficult finding time to connect with nature. As the majority of the city's inhabitants reside in apartments, gardens as well as the natural environment, can seem a world away. For this reason we have decided to dedicate today's Ideabook to roof gardens. Roof gardens come in all shapes and sizes, and can mean the difference between concrete jungle, and serene, comfortable city tranquillity. We've gathered 11 of the best roof gardens we've seen for your viewing pleasure. If you want to gain a bit of inspiration for your balcony, terrace, or indeed your own roof garden, take a peek at the impressive examples below! If you are a fan of hidden and secret gardens then you will love this fabulous remodel. Brought to us by the astute team at Hofmann Architekten, this Vienna based dwelling is sure to stir a little jealousy. Who says a roof garden is a waste of space? This multi-purpose area has been designed to prove those theories wrong with its stylishly versatile and amazingly multifunctional space! Designed by Bowles & Wyer, this is an impressibly large and brilliant use of a roof area. One of the best elements of a roof garden is its ability to make the occupant feel as though they are on top of the world. 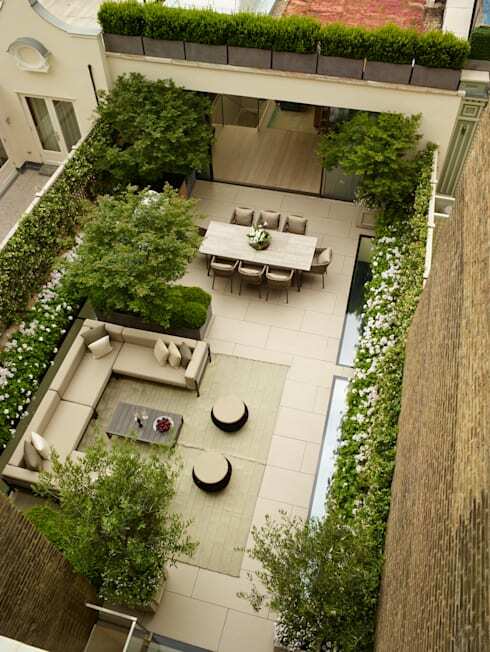 This roof garden from Cameron Landscapes and Gardens employs manicured plants and plenty of entertaining space. 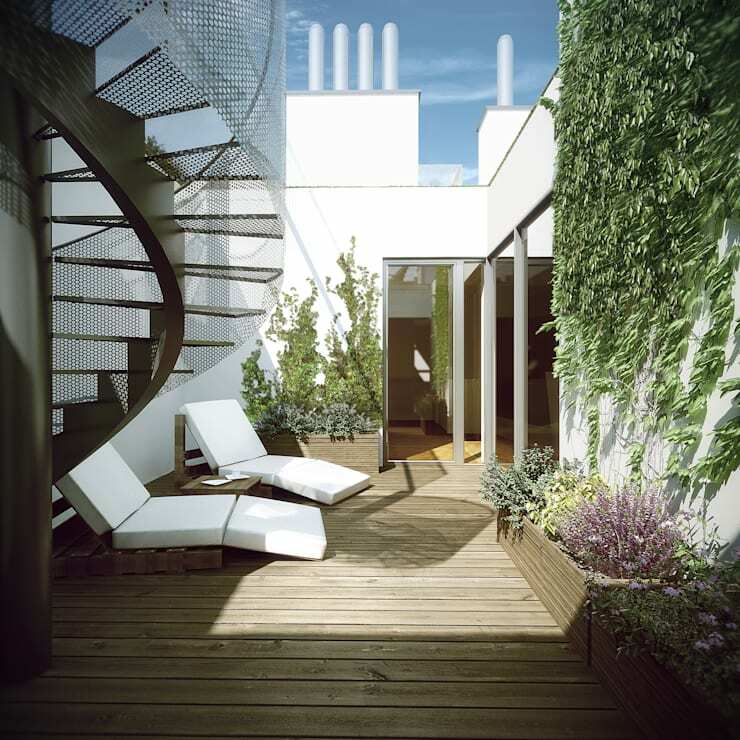 Next up we are looking at a wonderful space utilising roof garden from Groves Natcheva Architects. Here the area is narrow, but has been enhanced through the use of verdantly lush foliage, and easy living spaces. If you are working with a compact space and need some assistance, chat to an expert via the homify website today! When looking at roof gardens it is important to analyse the different ambience and atmosphere the area is attempting to create. Is it a space for entertaining, or perhaps it is an area more suitable for quiet contemplation. 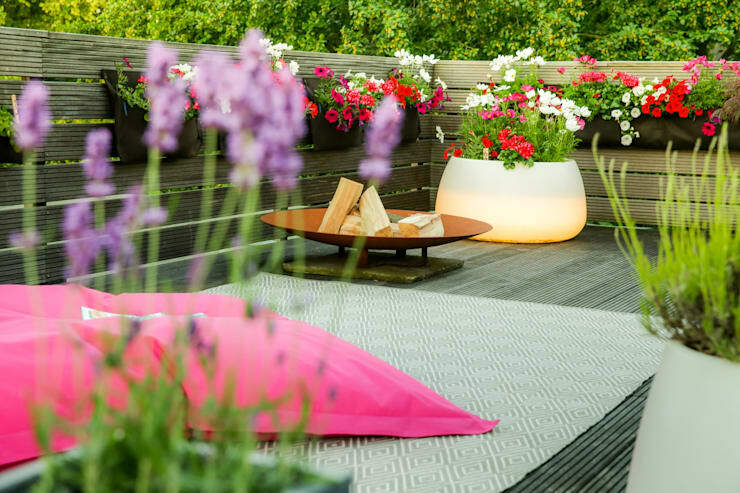 Lighting makes a huge difference to the overall vibe and aesthetic, with this garden from Die Balkongestalter incorporating a planter that is also a method of illuminating the space. 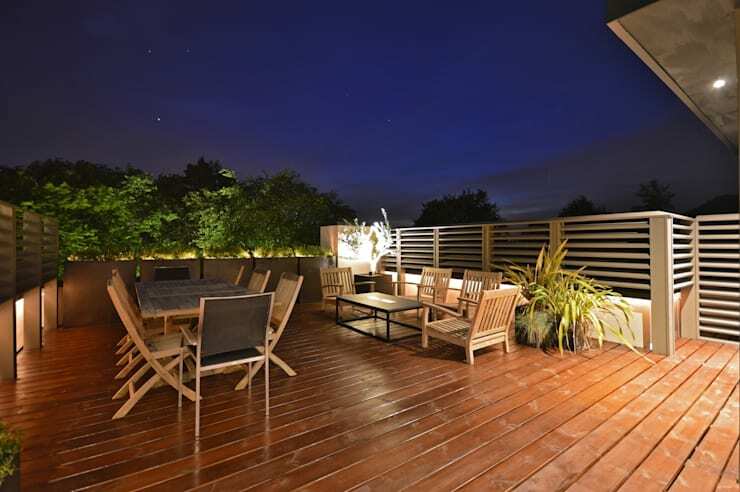 From the talented team at Zodiac Design, this outdoor roof garden oozes appeal. Replete with timber tones throughout, we particularly like the wall that follows the space around, providing privacy and safety. 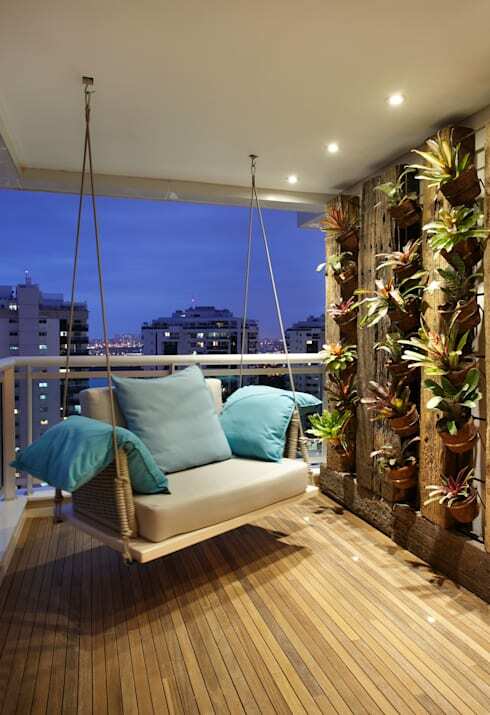 Not technically a roof garden, but definitely worth a mention is this lovely balcony design from BC Arquitetos. As many of us live in apartment buildings, getting close to nature can be difficult. Here a green wall and hanging seat evoke an environmental connection, as well as chic luxurious overtones. 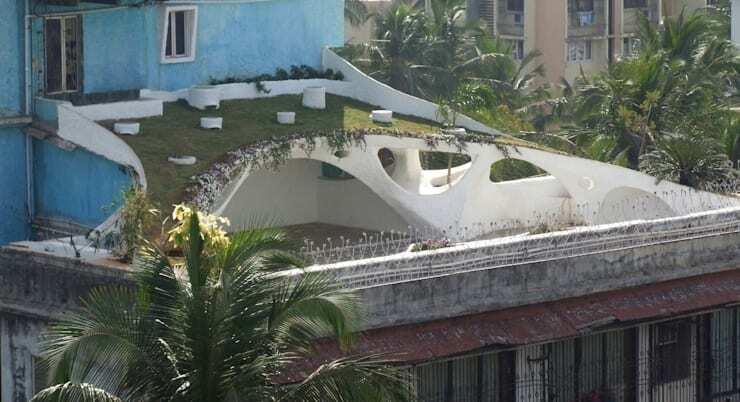 One of the more interesting roof gardens we have seen, this design by The White Room is located in Bandra, Mumbai, and presents a stylish alternative to a flat roof space. 111 square metres in area, this garden also boasts large undercover living spaces for luxury entertaining. 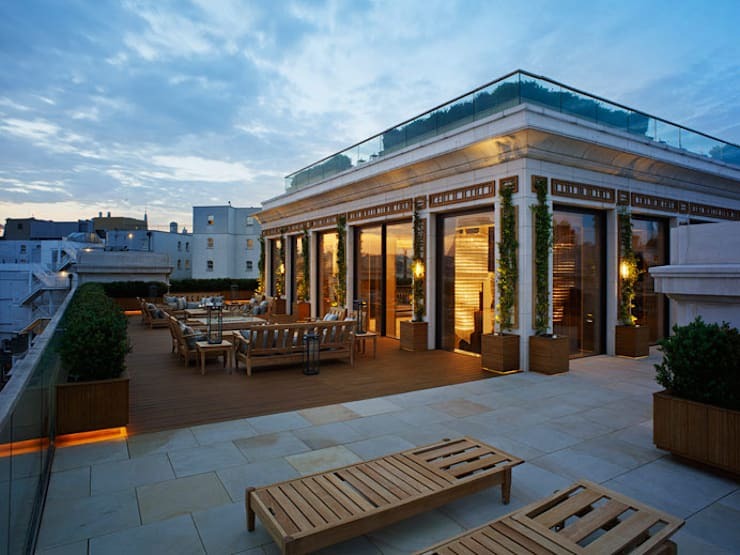 For the ultimate in lavishness and luxury, check out the gorgeous roof garden at number nine! Designed by Decorum.London, this space oozes appeal, and is a fabulously impressive space. 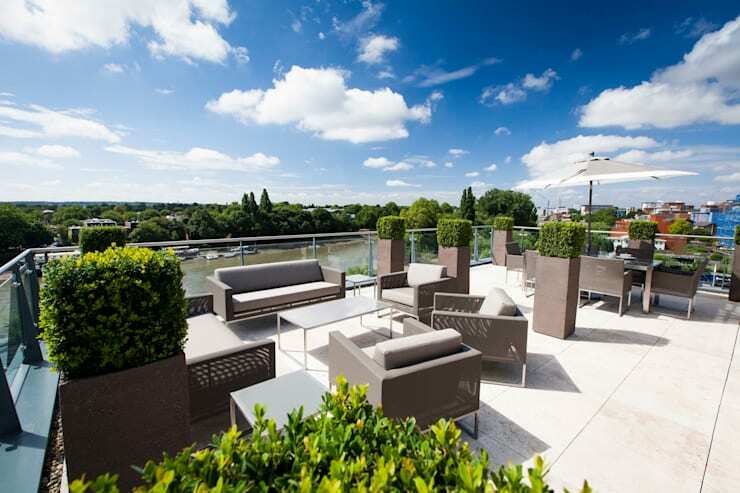 The penultimate roof garden on our list is impeccably stylish and looks wonderfully serene. 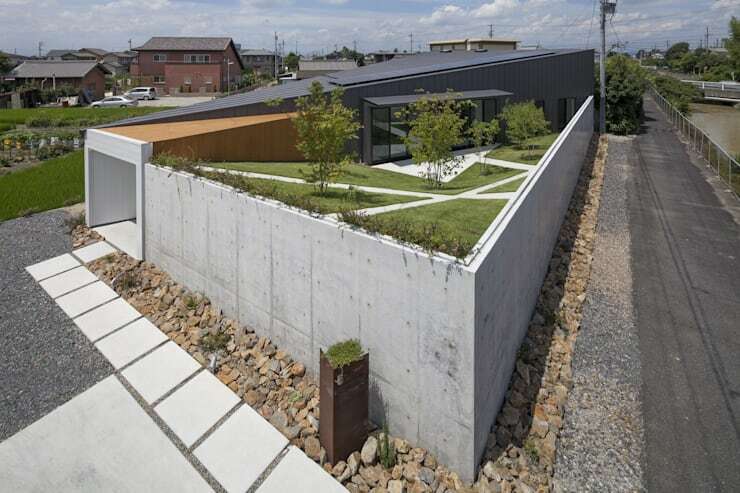 Located in Komaki City, Aichi Prefecture, Japan, and designed by Bandesign, this is by far one of the most impressive roof garden examples we have seen! 11. On top of the world! Last on the list we are taking a rare peek at this delightful space from RM Architecte. 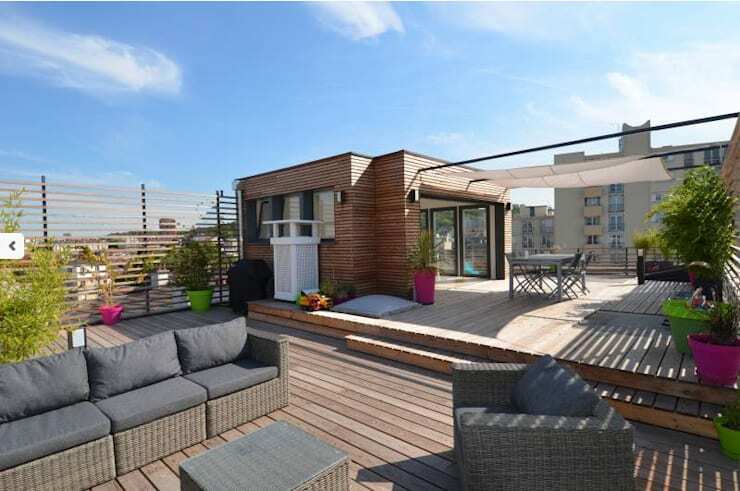 Boasting split-level living spaces, plenty of potted greenery, as well as an indoor (weather-friendly) room, this is a brilliant use of roof space, and a stylish rooftop residence. Which rooftop garden is your favourite? Let us know in the comments below!